Fall is right around the corner, and with everyone going back to school, it’s time to get serious about book club. Not so serious that we turn it into “Fight Club” (the number one rule of Book Club is actually to talk about Book Club). Instead, now is a great time to join or start a book club. 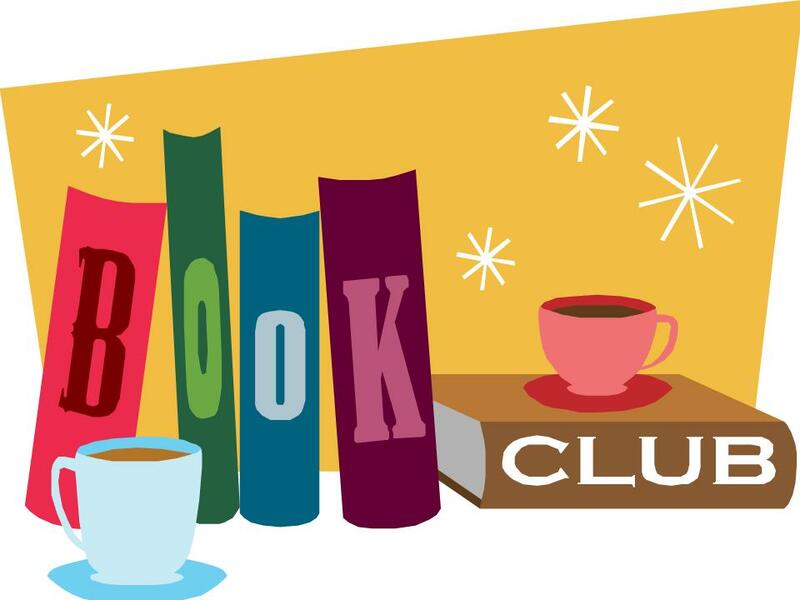 Of course, we’d love to invite you to join the TFPL Book Club. We’re very informal – you can choose how often you come, and we provide snacks and a discussion leader. In fact, you don’t even have to read or finish the book. We just want to get people talking. We meet at 5:30 the second Tuesday of each month (unless it’s a holiday), and we don’t care if you come late or leave early – you can also come early and leave late, if you like! Click on the “tfpl book club” tab at the top of the blog for more information. If you’re looking at starting or revamping your own book club, we’ve also got resources for you – here are some tips to help you get started. You can always talk with one of the Reference Librarians (Amy, Beth, or Jennifer) for some great recommendations for good books. We’ve also got these handy-dandy Book Club Kits; all you have to do is supply the readers. Keep checking that page for added titles. This site is one of the best for book clubs. It offers discussion guides, recommendations, advice, and even drawings for copies of books. Sign up for their monthly newsletter for more ideas. This is another great site for all-around book club use. Find author interviews, discussion guides, and even register your own book club group for special drawings. A great site for readers in general, though they do have a couple of Book Club links, including an online book club, if you’re looking for one to join. Oprah’s show may be over, but her interest in books lives on through her book club site. You can check out previous Oprah choices, or get information on exciting new reads. Although not geared to book clubs, this site is a great resource for author information, recommendations, and reviews from people in the know. Take a look at their fun “Five Books” feature. NoveList Plus is almost as good as having your own personal librarian. They offer great content, such as access to professional reviews, discussion guides, and feature articles by their in-house librarians. They also allow you to search for books, both fiction and nonfiction, by such traits as subject, genre, award winners, author nationality, and many more. You can also do a plot search! Oh, August. You make us yearn for the days when we weren’t already sweating by noon. The days when we didn’t feel the necessity to stand for hours in the frozen food section of the grocery store. The days when a constant worry didn’t involve leather seats and bare legs. Those days – you know, like June. Instead, we are forced to focus on the “hot”. As in, “Wow, the temperature is already in the 90s and it’s not even 9 AM”, not as in “Hoo, baby, lookin’ good.” So, in infamous honor of the heat, here are a few “hot” books. Whether or not you read them in front of the air conditioner is up to you. There are those who complain that technology is having a detrimental effect on letter writing (I’m one of them). After all, speaking in abbreviations and emoticons is not the same as receiving a heartfelt, handwritten letter from a loved one. While I love technology as much as the next person – and I’m not saying I don’t text or email, mind you – I think that we’re losing a beautiful thing here. Starred entries are highly recommended (by me). Adult Summer Reading is over for the year – and we should have all the results tallied and prizes announced next week. Thanks and congratulations to all the participants. It was a crazy summer (with the carpeting chaos), but it was fun! This week, we’ll journey back in time to 1988. I remember it well – it was my junior year in high school – but it may also be remembered for: Ollie North being indicted in the Iran-Contra Affair (March), the Summer Olympics are held in Seoul, South Korea (September), and Sammy Davis, Jr. died (May).